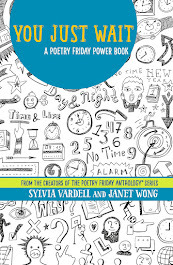 Tomorrow is launch day for PoetryTagTime; 30 e-poems by 30 e-poets, an e-anthology compiled by Janet Wong and yours truly. This first ever electronic-only poetry anthology for children has new, unpublished poems by many of the top poets writing for young people and goes on sale beginning tomorrow for 99 cents at Amazon. Even if you don’t own a Kindle, you can download the Kindle app for a number of devices, including your Windows or Apple computer, iPad, iPhone, BlackBerry, or Android-powered phone. Find out more by clicking here. 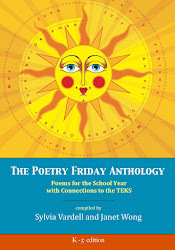 Visit the book’s dedicated web site with links to each of the 30 poets featured in the book and PoetryTagTime.com. 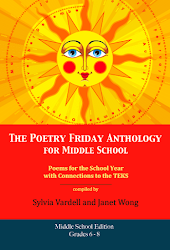 Then look for teaching ideas for each poem featured daily throughout Poetry Month (April) at this dedicated book blog here. What a line up! What a bargain for 99 cents, right? And all electronic, ready to share with kids of all ages! As Janet (Wong) and I worked on our PoetryTagTime e-Book project, so many serendipitous happenings encouraged us along the way. We were invited to join in a partnership with Worldread er.org to donate our book, PoetryTagTime, to children in Ghana and Kenya, where poetry fits well with the strong oral storytelling tradition in those countries. As a former Fulbright scholar in Zimbabwe, I was so pleased to be able to add to the body of literature available to children in southern Africa. 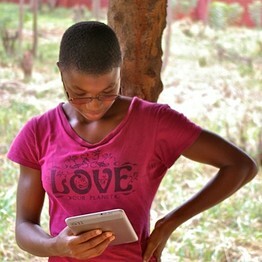 Worldreader.org is a not‐for‐profit organization whose mission is to bring digital books to all in the developing world using e-readers, to go to “the world’s poorest countries where paper doesn’t reach.” Worldreader.org is currently working in rural Ghana and soon will be working in Kenya, providing thousands of children an e-reader loaded with their own personal library, consisting of age appropriate local and international literature. Elizabeth Wood, Director of Publishing at Worldreader.org noted, “Poetry is so powerful to our kids as they come from an oral storytelling culture and I can just picture our kids reading poems aloud to their siblings and parents (many of whom are illiterate).” Our PoetryTagTime anthology will be their first poetry offering for their kids and this fits so well with our mission of putting poetry in the hands (and ears and eyes) of children who might otherwise not be exposed to it. Another bit of serendipity found Janet launchings a “test” book of her own original poetry to test the Kindle waters. 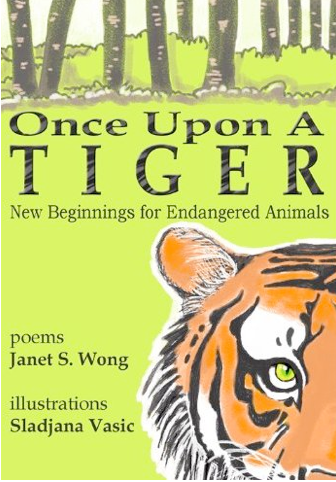 Look for Once Upon A Tiger: New Beginnings for Endangered Animals creation poems by Janet S. Wong with illustrations by Sladjana Vasic. This collection includes the tiger, axolotl, mountain gorilla, Sumatran rhinoceros, blue whale, leatherback sea turtle, giant panda, Asian elephant, and the polar bear, along with informational notes and related web sites. Check out her book website, OnceUponATiger.com, where you can learn more. 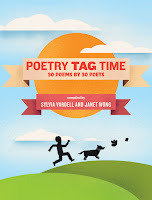 You may remember that last year, I hosted a game of “Poetry Tag” here at my blog, to celebrate National Poetry Month last April. I invited poets to "play" along with me by offering a poem for my readers to enjoy, then "tag" a fellow poet who then shared her/his own poem THAT WAS CONNECTED to the previous poem in SOME way-- a theme, word, idea, tone-- and offered a sentence or two explaining that connection. 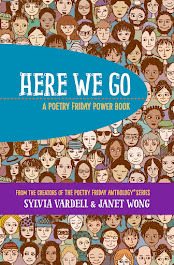 Poets responded enthusiastically and we shared a chain of poems by luminaries such as J. Patrick Lewis, X. J. Kennedy, Lee Bennett Hopkins, Joyce Sidman, Marilyn Singer, Alice Schertle, Pat Mora, Naomi Shihab Nye, Helen Frost, and Nikki Grimes, among others. That was a terrific event— the response was positive from poets and readers alike! This led to my using the Poetry Tag theme for my regular "Everyday Poetry" column for this month's March 2011 issue of Book Links available online here. I offer 30 different poems from a variety of poetry books all connected from one to another. I begin with “April Gale” by Heidi Mordhorst (from Pumpkin Butterfly: Poems from the Other Side of Nature, 2009). Then we look for “Spring” by Lee Bennett Hopkins (from Sharing the Seasons: A Book of Poems, 2010). [Connection to previous poem: The image of spring blossoms] 3. Next, find “Grass” by Joyce Sidman (from Ubiquitous:, Celebrating Nature’s Survivors, 2010). And keep it going with 30 different poems all listed for you with the connections noted. In the print issue of Book Links, you'll also get an unpublished poem by Heidi Mordhorst that is a gem! The success of our first round of Poetry Tag has inspired me to take this idea one step further. I am working on a new Poetry Tag project with Janet Wong, my collaborator on the lovely tribute book for Lee Bennett Hopkins in 2009. 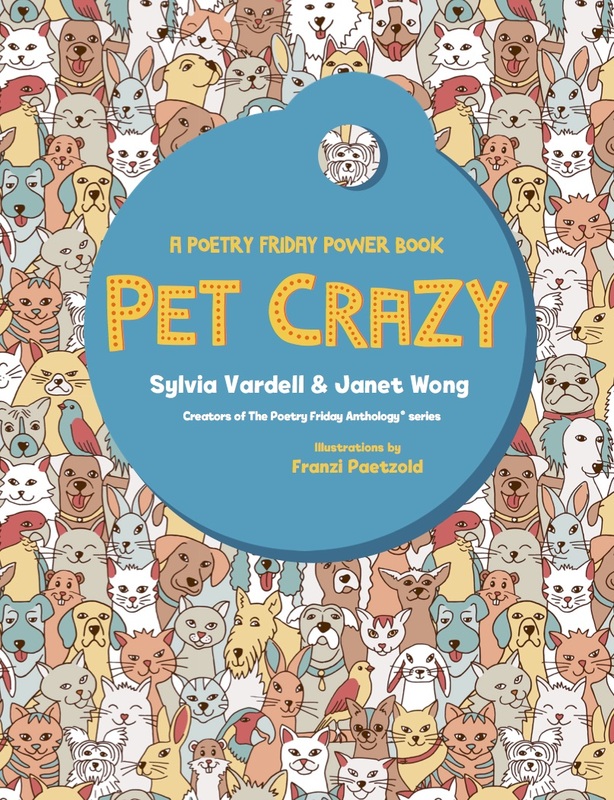 We have compiled what we believe is the first electronic-only poetry anthology for children (ages 0-8), designed for Kindle (and other e-readers) as an irresistible 99 cent book for kids and for grownups to share with the kids in their lives. The idea is to make poetry an affordable "impulse buy"--to bring poetry to people who never have bought a poetry book before. 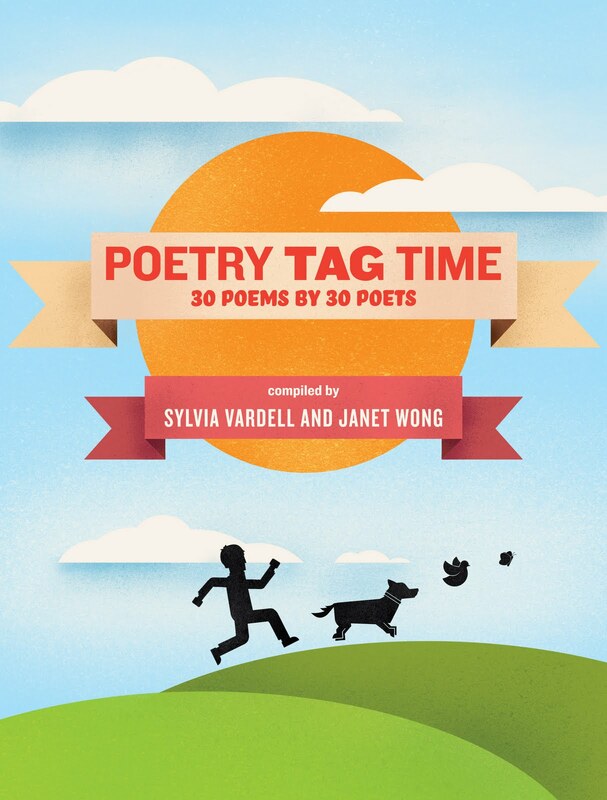 It's called PoetryTagTime and will be available at Amazon beginning April 1. Our initial format, a black-and-white Kindle format, fits well with our goal of encouraging aural appreciation. Rather than having adults simply "pass the iPad," we'd like to have adults reading poetry to children. 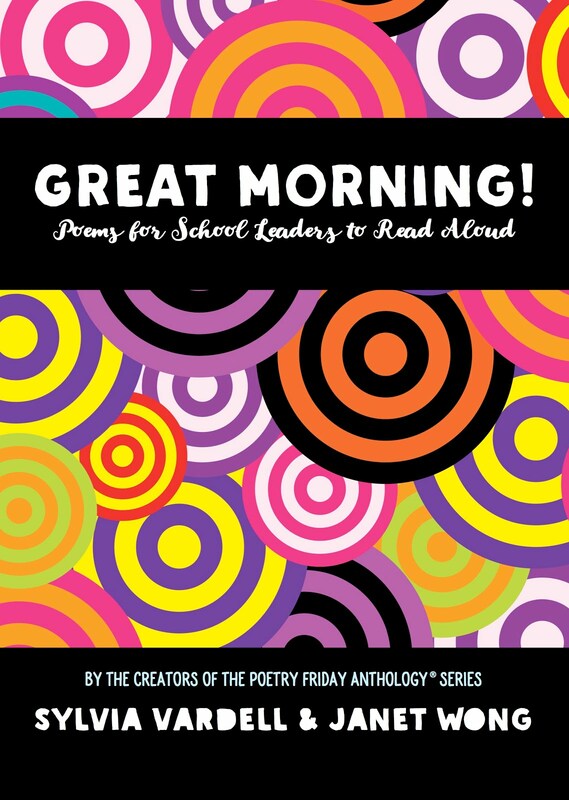 A teacher might read a poem aloud to start each morning. A family on a road trip might read poems aloud to pass the time. Some estimates say that 10 million Kindles have been sold. There were over 10 million Kindle ebook sales in December. We bet that at least a tenth of those Kindles belong to adults who spend a significant amount of time each day with children. Wouldn't it be amazing if we could bring a million Kindle readers to children's poetry? 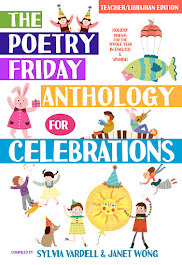 The first volume is framed around the Poetry Tag concept with 30 poets offering previously unpublished poems for children (ages 0-8) in a connection of poems that will debut April 1 at Amazon in honor of National Poetry Month. Please visit our website, to read more about our project and our 30 participating poets including: Children’s Poet Laureates Jack Prelutsky and Mary Ann Hoberman; Newbery Honor winner Joyce Sidman; NCTE Poetry Award winners X.J. Kennedy, J. Patrick Lewis, Lee Bennett Hopkins, and Nikki Grimes; mega-popular poets Douglas Florian, Betsy Franco, and Jane Yolen; and 20 more exciting names. 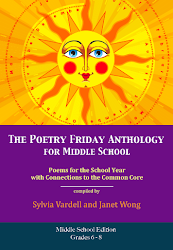 Also, be sure to check out our companion blog, for strategies for sharing each of the 30 poems in the book, rolling out one per day throughout the month. And be sure to join the rest of the Poetry Friday gathering hosted by Andromeda at A Wrung Sponge. I’m teaching my graduate course in poetry for children this semester and we have all kinds of projects percolating that I hope to share soon-- including readers’ guides for many different poetry books. Toward that end, I created a mini-example readers’ guide for my students for Joyce Sidman’s Dark Emperor, a Newbery honor book this year. Let me first say that Joyce has several excellent resources for this book available on her own web site. I purposely created my guide before checking hers and there’s a wee bit of overlap, but together, we offer multiple ways to approach this wonderful book. 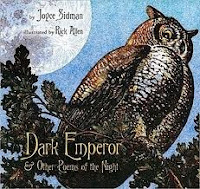 This collection of poems about the forest at night—owls, moths, porcupines-- is the last in the trio of “ecosystem poetry books” that began with Song of the Water Boatman (pond) and continued with Butterfly Eyes (meadow). It also offers a parallel layout with beautiful linoleum prints in a double-page spread for each of 12 poems, alongside an accompanying prose paragraph. This marriage of lyrical poetry, science-focused topics, and beautifully executed art has become a Sidman (and collaborating illustrator) trademark. *Imagine what happens outside your home when you sleep at night. What animals might be active? What noises might be heard? *Which is easier to write—prose or poetry? Why? This book has both. 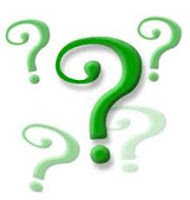 Why do you think a poetry book might include prose paragraphs, too? The illustrator, Rick Allen, created woodblock prints for the pictures in this book. Collaborate with an art teacher or local artist to learn about printmaking; experiment with simple potato prints to create print pictures for a favorite poem. Joyce Sidman writes poetry in many different forms. 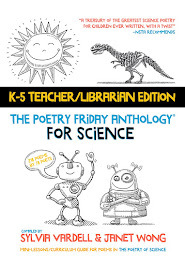 In this book, she includes an “ubi sunt” (“Moon’s Lament”), a medieval poem that “laments the loss of heroic, beautiful things.” Invite the children to work in pairs to try creating their own lamenting ubi sunt poem. Children can work in pairs to create nature poems and prose paragraphs about creatures in their immediate environment based on observing them for a set period of time. Combine them to create a collaborative book. Yolen, Jane, comp. 1997. Once Upon Ice and Other Frozen Poems. Honesdale, PA: Wordsong/Boyds Mills Press. Yolen, Jane. 1998. Snow, Snow: Winter Poems for Children. Honesdale, PA: Wordsong/Boyds Mills Press. Cooper, Wade. 2008. Night Creatures. Cartwheel. 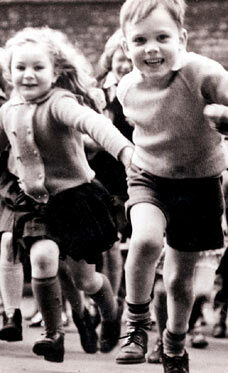 Fraser, Mary Ann. 1999. Where Are the Night Animals? HarperCollins. George, Jean Craighead. 1999. Morning, Noon, and Night. HarperCollins. Weber, Belinda. 2006. The Best Book of Nighttime Animals. Kingfisher. 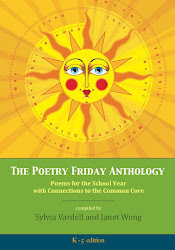 Meanwhile, stay tuned and I hope to share more information about other student-made poetry resources as National Poetry Month (April) nears. My last Question-and-Answer session with Children’s Poetry Maestro Lee Bennett Hopkins drew such a good response, I decided more was needed and Lee was kind enough to say yes. This man knows everything there is to know about the field of poetry for young people and I always enjoy getting his behind-the-scenes perspective. This time, I sent him a set of questions about poetry awards and his responses are below. If you have questions you’d like Lee to answer, please offer them in the COMMENTS area and I’ll gather them and get his input later this spring. Thanks, readers, and thanks, Lee! 1. 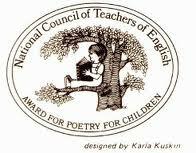 Let’s talk about the history of the NCTE Poetry Award. I know that you were there at the beginning and collaborated with Bee Cullinan to get this established. Can you tell us a bit more about how that happened and why it came to be housed at NCTE? At the time the Award was being discussed I served on the NCTE Board of Directors. 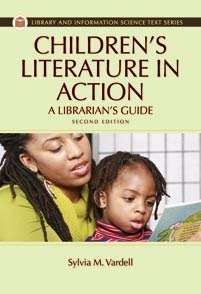 Both Bee Cullinan and I were very active in all aspects of NCTE. It was Bee who proposed the award to honor her son, Jonathan Paul (1969-1975), who at six years old was tragically killed, run over by a neighbor's car in a driveway. Bee founded the Award in his honor. When Karla Kuskin designed the emblem for the Award, she included the engraving of young Jonathan sitting upon a tree branch, reading poetry, of course. The Award, first given in 1977, became the first of its kind in the United States to honor poetry. Consider the Newbery Award started in l922 ; the Caldecott, 1938; four decades later we finally get recognition for the genre. I chaired the Award in 1978, the second year, when Aileen Fisher received the honor and again in l991 when Valerie Worth won. Oddly enough neither could attend the affairs. Aileen refused to go anywhere if she couldn't wear jeans, and sadly, Valerie was dying of cancer. Aileen finally made an appearance-- in jeans -- at the l985, luncheon when Lilian Moore received the Award. So much changed in just 7 years - a time when Ms. was the accepted term for all women - no matter what they wore! Needless to say, over three decades since I was involved in its inception, I was overwhelmed to become the 15th recipient of such an honor. 2. Sp eaking of awards, once the NCTE award was established, what made you decide to set up your own LBH awards? Can you tell us how both the book and the new poet awards came to be? How did you the International Reading Association become involved? Being an advocate of poetry my entire life, I felt there was a need for more recognition. I was very active with the now defunct Children's Literature Council of Pennsylvania. I was fortunate in that Steve Herb was President of the Council and accepted the idea of my founding The Lee Bennett Hopkins Award in 1993. The NCTE Award had been given to a poet for his/her aggregate body of work, thus only well established poets could even be considered for such an honor. The LBH Award is given annually to a book of poetry either an original collection or an anthology. The first award was presented to Ashley Bryan for SING TO THE SUN (HarperCollins) in 1993. The award comes with a $1000.00 fee plus a medallion featuring artwork by Jessie Willcox Smith, a Pennsylvanian-born illustrator. I was also born in Pennsylania - Scranton - thus I felt the whole idea was to give back to my birthplace. The Award is now sponsored by Penn State University. How lucky I am that Steve Herb is still affiliated with the University. We came full circle. Since no other awards seem to have popped up I founded the Lee Bennett Hopkins/International Reading Association (IRA) Promising Poet Award in 1995 which is given every three years to a poet who has published no more than two books of poetry. The Award includes a cash prize plus a medallion. A third award for poetry was established in 1998 - The Claudia Lewis Poetry Award, sponsored by Bank Street College of Education in New York City. Claudia, a poet herself, who published several books with HarperCollins with Charlotte Zolotow as editor, was one of the most scholarly people in the field of children's literature I had ever known. I had the rare opportunity of studying with Claudia when I did my Master's Degree at Bank Street. (In the l960's Bank Street WAS on Bank Street in Greenwich Village. I later went to work at Bank Street in a Harlem Resource Center. We became good friends and communicated with one another until her death. She was very supportive of the NCTE Award and both Awards I had established. She was a gentle soul, a beautiful voice who taught a multitude of students the importance of bringing children and books together. 3. One more aw ards question—we both agree that it would also be nice to have the American Library Association recognize poetry in their awards categories, too. What do you think they should do that isn’t already considered by the other awards? I have harped over ALA not having an award for poetry for so long I've even become annoyed at myself for so much harping. I shall leave that thrust to others. Thanks again, Lee, for sharing your insights and experiences with us. Have more questions for Lee? Post them in the COMMENTS area below.